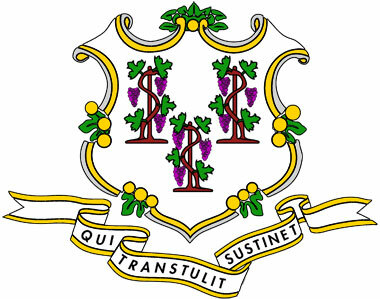 "A shield of rococo design of white field, having in the center three grape vines, supported and bearing fruit. 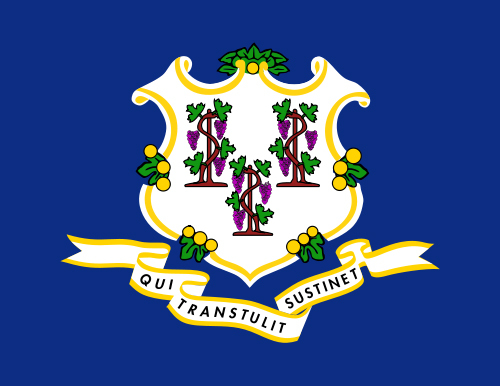 Below the shield shall be a white streamer, cleft at each end, bordered with two fine lines, and upon the streamer shall be in solid letters of medium bold Gothic the motto: QUI TRANSTULIT SUSTINET (He Who Transplanted Still Sustains)." 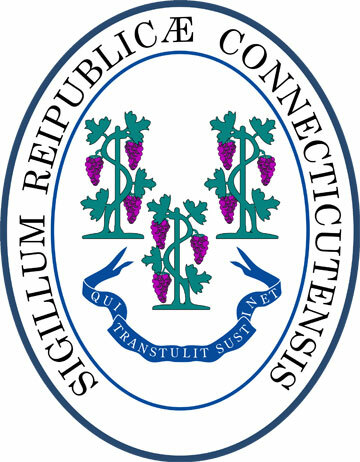 Connecticut state seal (public domain image on Wikipedia).